This is rather understated but undoubtedly well executed young adult science fiction novel that I would not recommend to everyone, if only because I can see it appealing to a specific crowd. 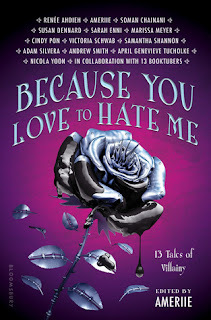 For instance, I am a more character oriented reader, so even though I thought this book was executed really well and I liked it for the most part, I didn't love it because the world got more focus than the characters. And the book is understated because its writing is so practical and purposeful that there's very little angst involved while remaining powerful. 1. (+) Tula, the protagonist - It's hard not to respect or like a fourteen year old girl who not only survives a beating and the loss of everything she's known but also pulls herself together day after day and comes out on top. Through her numbness and her despair, her anger and thriving sense of revenge, Tula ensures her own survival by building up her knowledge of an alienesque black market. She's clever, learns quickly how to manipulate the system and trade with others so that she's a vital part of the community and respected for her reputation and word. 2. (+) World-building - This is where Tin Star excels. The world for this book is one where politics and intergalactic exploration and communication are so interwoven that different peoples are considered Minor/Major species based on the number of colonies they've established. Castellucci also spends time establishing the ever-changing politics of that situation as well as showing us the gutter world of the space station and introducing us to several different alien species. This gives the book and its world a very epic scope. There are enough details so that we understand that there's a lot more left to explore in the sequel and other work, should Castellucci choose to continue with the world. 3. (+/-) The Beginning - How you take to this book will depend on whether you're a character or world-building oriented sort of reader. Are you okay with not necessarily having anyone besides the protagonist to really care for in the beginning while the world is being developed? It took me a bit to get acclimated to the setting and start feeling invested in the characters, so it's something to consider. 4. (+) Characters - Though this is relatively small cast--yet not small for a young adult novel--I like what we got to see of these characters, their backstories and motivations. Although it's clear that we've only seen the tip of what and who they are, there's enough potential that I would willingly follow them into the sequel. No one is what he/she seems, but there are still reasons to care for these characters or at least feel intrigued by them and their motivations, as Tula is. 5. (+) Plot - The plot is part survival story as Tula is left alone on a space station, the only member of her species and very low in the food chain so to speak; part science fiction space opera as the particular ramifications of certain actions and character backstories mix to create epic political complications and twists; part transformation story with empowering themes as Tula transforms from a clever but naive fourteen-year-old human into a "questionably human" seventeen-year-old leader; and part romance with some of its emotional shifts happening off-screen and never overwhelming the other aspects of the plot. Like the world, the plot is detailed and complicated. 6. (+/-) Politics - Here's the thing: I'm not much a fan of very politically oriented plots and settings. Unless I care about the characters and the culture, it's hard to make me care about the politics of the world. I liked the space station culture and how Castellucci had established it, but the political situation is so epic in scope that that's what I find it hard to care about -- the consequences, the values that these characters have. 7. (+) Themes - This book does a really good job with its discussion on humanity. It's not obnoxious about broaching that theme, but you are aware of it, considering how Tula is the only human in her station for a while. There's also more subtle themes about what it means to adapt, survive, assimilate with other cultures and peoples, and the tolerance that's necessary for space settlements where aliens are concerned. Also some questions of progress, etc. etc. 8. (+) Writing - This is the sort of writing you might expect of a science fiction novel. Dry, practical, sharp, tight. If you're looking for a lot of emotion, you're not going to find it (after Tula nearly dies, it's hard for her to feel any other emotions besides hate and numbness, and so her perspective has a very logical bent to it). It's oriented on the details, on the political situation, and the sort of things that you could analyze to understand someone's motivations. It works well for the kind of story being told. 9. (+/-) Pacing - If the entire book had been as action packed as the climax was, the story would have fully hooked me. But it wasn't, and there were slow moments, which worked well to give us a feel for the world, but I still wanted a bit more action to add more tension in some of the narrative. 10. (+/-) The Cover - I mean this cover is good at conveying the science fiction and space aspects, but I can't say that I was particularly interested in it, or that it'd catch my eye in the store. Full of imaginative, careful details that establish an epic, star-spanning setting, Tin Star will appeal to science fiction fans who are looking with books with more solid world-building, fans of sharp, descriptive writing without angst, and fans of something different in young adult. 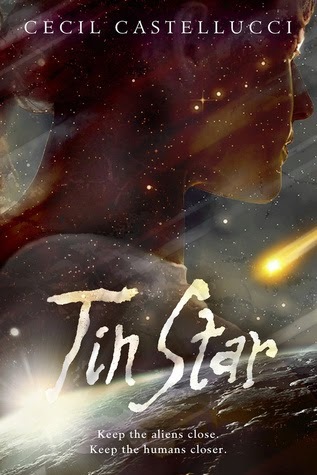 (I don't know if this is common in science fiction, in general, but having read some other YA books set in space, I can say that Tin Star distinguishes itself from them with its more epic world-building). Lol. I know. I'm a total hypocrite. I like politics in MWT's books but in an epic science fiction setting, I didn't like it? Ah well. Tula DEFINITELY has a strong spirit and the world has lots and lots of depth. I hope you enjoy this book if you give it a shot! It's so interesting you say that about sci-fi writing styles - maybe it's because, as scientists, we're exposed to that no-nonsense, straightforward style all the time and reading it for fun just doesn't work as well? I'm like you in that science fiction books have to be special in order for me to like them. And yes, huge age difference but great at showcasing her character growth in the book. Thanks, Siiri! I am excited that it is science fiction and it sounds amazing!! I like the idea of it being in space and humans coming. It is a duology! So there's only one year to wait for it to be complete. Though this book also feels very complete. It has the politics and hints of the second book's plot, but I also feel like, with the plot's different aspects like the transformation etc., it feels complete. This sounds good, I love the cover and amazing world-building is my weakness! I like the idea of space travel. Different planets excite me. I don't really read a lot of science fiction but I like the idea of a story set in space. I sounds really good and the cover is amazing. What about this book interests/excites you? You had me at space station. I'm a huge fan of YA science fiction reads. After recently finishing These Broken Stars I've been searching for another YA Sci Fi book, I think I just found it. I love out-space and different world fiction, I love the way fantasy comes alive! I've been getting into sci-fi this past year and I'm a huge fan of very intricate world building, so this one really appeals to me. It sounds a little Doctor Whoish, which is always a plus. I love sci-fi books but oftern find they can be a bit .......meh! I love books with a realy world built around them and it sounds like this one does that! I love sci-fi books, especially those that are set in space, so I am really glad to see that you enjoyed this one. Tin Star sounds really great and all these new release books have been hyped up by book bloggers and book tubers so I would be absolutely STOKED if I could win a copy of Cecil Castellucci's novel Tin Star!!! I'm a sucker for aliens and space! On of my favorite shows on tv used to be Roswell. So when I read that this book was about aliens, it immediately caught my attention. The cover isn't all impressive but it's not too bad. I enjoy sci-fiction and feel I'll enjoy this book. Plus, the fact that it is a duology is fascinating. I can't say I have ever experienced a book like that so I am very curious to see how the first book ends and then what will be in the second book. I'm also intrigued with books that create new and unique worlds! I think that's why dystopic books have become one of my favorite genres. I'm really looking forward to reading Tin Star. All in all, I think it will be an adventure! Thank you! That cover sure is pretty. Been meaning to read a work of Cecil Castelucci's. The whole sci-fi and set in space really makes me interested! The characters and plot sound real interesting, cant wait to read. I just love Sci Fi books. and the ones I have read lately have been so good so I'm sure this onewill be too!